This article is basically the title joke, but here is some hilarious uncle Rico and Kip Moments from Napolean Dynamite. 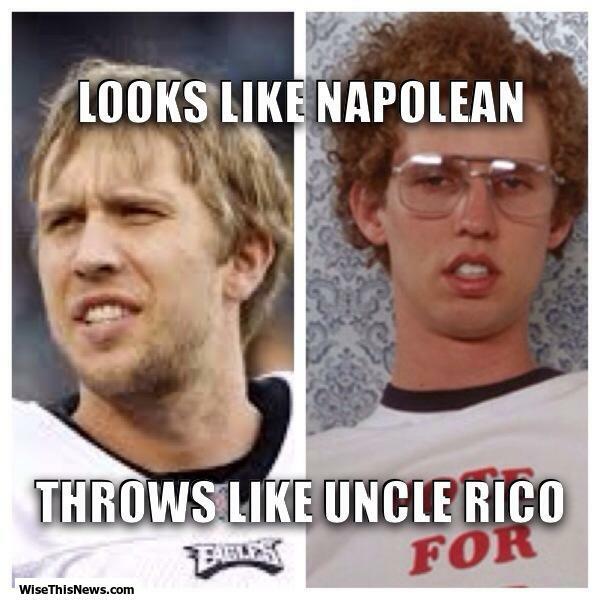 But Nick Foles has been playing well and really does look like Napolean Dynamite you have to admit. Can you bring me my chapstick? boom. Made your day better. Share this and spread the love. Next Next post: We’ve All Heard of Alibaba, But Who Knew It Was a Company Like This?